10-45) Repeat rows (6-9) 9 more times for a total of 10 pattern repeats. Clip threads, weave in ends, wash dishes! Next up, the NYD '05 Kitchen Hanging Hand Towel! Thank you for taking the time to post your patterns..I love them all. When you say to slip, is it slip as to knit or purl? Marlene, thanks for asking. That would be slipping as if to Knit. blogun harika çok beğerndim. örgüler süper. ben sizi bloguma beklerim. mutlu bir haftasonu diliyorum. Hi cathy (TURKIYE)(IZMIR) you de loves. Blogun very (Begerndim) wonderful. Super knitted. The I am the you backward. I am wishing haftasonu happy. Wish I understood better. Thanks for writing. This is a Flickr badge showing items in a set called 2009 Knitting. Make your own badge here. This is a Flickr badge showing photos in a set called 2008 Knitting. Make your own badge here. This is a Flickr badge showing photos in a set called 2007 Knitting. Make your own badge here. Mom's Broken Rib Dishcloth, Take Two! 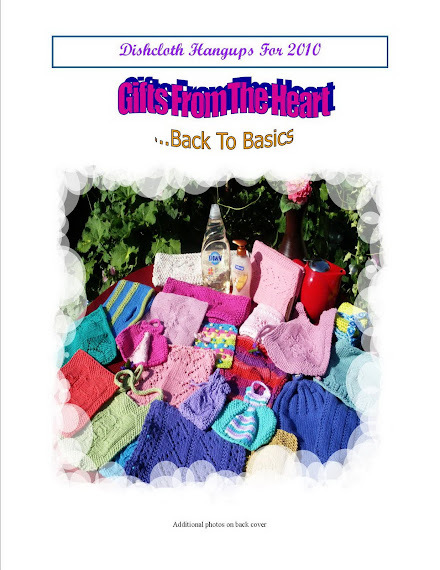 All contents of this blog (patterns, pictures, text, etc...) are the sole property of Cathy Waldie. (c) 2001-2012. No pattern or part may be copied or posted without written permission. I have given the patterns to the knitting community without charge, and would like them used in the same vein. They are shared here for your personal, non-profit charity and gifting purposes. These patterns, and all items made from them, are NOT for resale. All rights reserved.